Confusingly the game is named the same as the 2005 game as well. Also confusingly, the game's split-screen co-op mode is only available on consoles. There are no details if the mode will play out like 2015's Battlefront, or something new entirely. Embark on an endless Star Wars action experience from the bestselling Star Wars HD videogame franchise of all time. Rush through waves of enemies on Starkiller Base with the power of your lightsaber in your hands. Storm through the jungle canopy of a hidden Rebel base on Yavin 4 with your fellow troopers, dispensing firepower from AT-STs. Line up your X-wing squadron for an attack on a mammoth First Order Star Destroyer in space. Or rise as a new Star Wars hero-iden, an elite Imperial special forces soldier-and discover an emotional and gripping single-player story spanning thirty years. 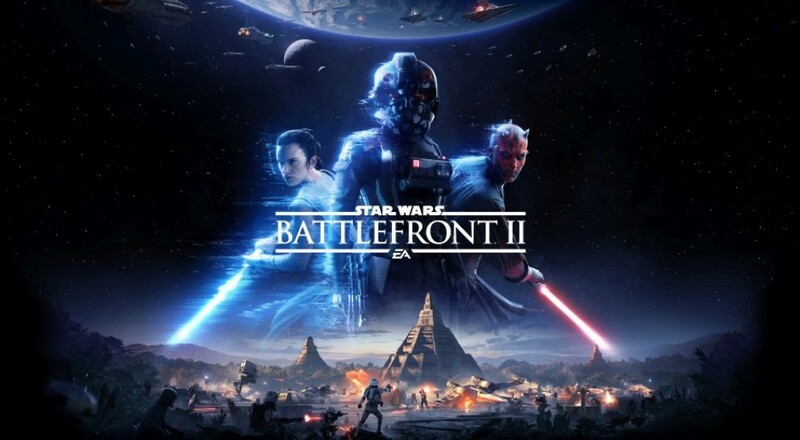 Star Wars Battlefront II releases on November 17th, 2017 - about a month before The Last Jedi hits theaters. Page created in 0.8813 seconds.